I’d like to take a little time to introduce the four separate countries that AFCA works in and hopefully make it clear why those countries need this aid. So here’s just a brief picture of the HIV/AIDS problem in Uganda. For starters, the CIA World Factbook states underneath its population estimate for the country (a little over 34 million) that this estimate takes into account the effect of AIDS on the population and the resulting increased mortality rate (it doesn’t do this for every country). As of 2009, 1.2 million people are living with HIV in the country setting the HIV prevalence rate at 6.5%. 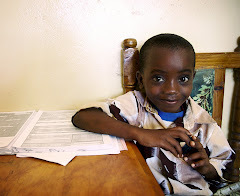 Orphanage due to HIV/AIDS is a significant problem in Uganda. Uganda has the highest proportion of orphaned children due to HIV/AIDS in the world with 2.3 million orphans attributed to the disease. While HIV/AIDS is still a serious issue in Uganda, there has been some progress since the disease first became known in 1980’s. The disease spread rapidly and peaked in the 1990’s but has since declined and prevalence has stabilized at around 6% (in the 1990’s it was as high as 18% in rural areas and 30% in urban areas!). AFCA provides medical supplies for three different hospitals and clinics in Uganda (more on that can be found at http://www.afcaids.org/about/impact). HIV weakens the immune system and increases the lethality of infections that would not necessarily be fatal so these medical supplies are needed to treat both HIV and any other common infections or illnesses. These are just some statistics for you to think about and hopefully help you understand why AFCA works in Uganda. If you want to learn more about the country I recommend the CIA World Factbook as a good starting place (https://www.cia.gov/library/publications/the-world-factbook/geos/ug.html) and the UNAIDS website which has a “country factsheet” for Uganda (http://www.unaidsrstesa.org/regional-country-profiles-home/country-profiles/uganda).